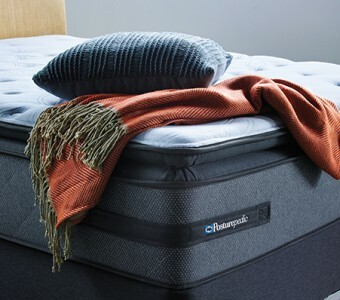 Mattress World Northwest is proud to carry a wide selection of Sealy Posturepedic mattresses. For more than 130 years, Sealy mattresses have been meticulously designed to ensure you get a restful and comfortable night’s sleep. From their signature Posturepedic innerspring mattresses to models featuring gel latex foam, Sealy has rightfully earned a reputation for quality and exceptional value over the years. If you’re looking for a Sealy memory foam mattress at an affordable price point, the innerspring series promises exceptional value. Boasting quality textiles and plush quilting, this series is backed with a 10-year warranty. Sealy’s durable innerspring system with titanium alloy coils is designed to provide a consistent level of support throughout the mattress, and a thick layer of memory foam delivers body-hugging conformance. This deluxe line is available in various comfort levels from firm to Ultra Plush. Five-star Sealy Posturepedic reviews from people of all ages attest to the craftsmanship and quality of this sleep set up. Renowned for its superior body support, the Posturepedic line features a state-of-the-art encased coil system that promotes neutral spinal alignment while responding to your body’s every curve. Enjoy the rejuvenating sleep you need on a gel infused memory foam support layer that is reinforced in the center third of the bed. A SolidEdge™ HD System adds stability around the perimeter of the bed, and the entire mattress is covered in a premium knit fabric that is easy to clean and soft to the touch. For the ultimate in comfort, discerning customers look to the Posturepedic Plus series by Sealy. This collection stands out with its cutting-edge encased coil system that delivers more precise support. 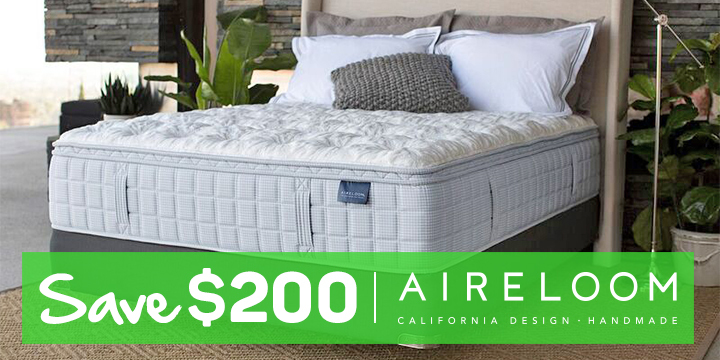 Carefully engineered with 20 percent more movement-responsive coils, this mattress significantly reduces motion disturbance between sleep partners. 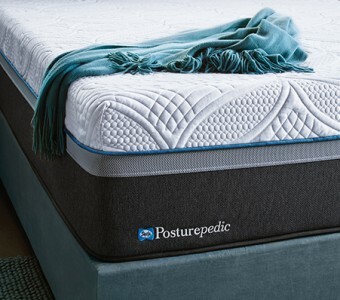 The Posturepedic Plus also boasts side panels made with a breathable fabric that promotes ventilation for a cooler sleep surface throughout the night. The Sealy Posturepedic Hybrid signals one of the latest advances in sleep technology. If you love the support of an innerspring mattress but crave the soft embrace of memory foam, a hybrid mattress could be your ticket to sweet dreams. Many of the models are crafted with memory foam infused with cooling gel material that helps regulate temperature and keep you comfortable on the hottest of nights. Transform your bedroom into a haven of pure relaxation on a Sealy hybrid mattress. Here at Mattress World Northwest – the #1 mattress retailer in Oregon, with 11 locations in Wilsonville, Canby, South Salem, Clackamas, Washington Square, downtown Portland and more – we’re proud to carry an extensive selection of the best Sealy mattresses from one of America’s top bedding brands and a pioneer in both innovation and quality. If terms like body-conforming comfort and cooling gel foam sound appealing, we invite you to browse our complete line-up of the best Sealy Posturpedic, Sealy Posturepedic Plus, and Sealy Premier Hybrid mattresses, which are all carried by Mattress World Northwest. For more than 50 years, Sealy has worked with orthopedic specialists and sleep scientists researching the unique needs of the resting body. Because all Sealy sleep systems deliver optimum spinal support and use only the highest quality materials and components, customer satisfaction rates are generally high. Read candid Sealy mattress reviews written by customers who praise the comfort, durability and support of this legendary brand. Everyone knows that a quality bed makes for a good night’s sleep. Before purchasing your new bed, browse our Sealy Posturepedic Hybrid reviews and feedback on other models. If terms like cooling gel foam and body-hugging comfort sound appealing, we invite you to browse our selection of Sealy Posturpedic, Sealy Posturepedic Plus, and Sealy Premier Hybrid mattresses in our 12 Portland-area showrooms. Looking for a super deal on a memory foam or hybrid bed by Sealy? 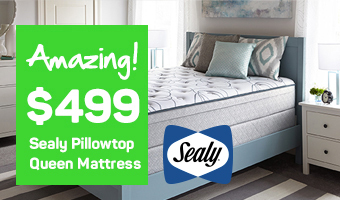 For deep discounts any time of year, be sure to check out our Sealy mattress sale on brand new and lightly tested floor models. Our experienced Sleep Specialists will outline our wide inventory of mattresses on sale, all of which come with our exclusive comfort guarantee. From a Sealy crib mattress to a Sealy Posturepedic mattress, explore all the state-of-the-art options today. From Salem to downtown Portland, our mission is ensuring customers get the best sleep ever. Family and community mean a lot to Mattress World Northwest, which is committed to providing the best customer service and unbeatable value on leading brands like Sealy. We hope you’ll visit one of our 13 Oregon stores and experience for yourself why we’re Portland’s #1 choice for mattresses and bedding accessories.